This year, instead of doing Christmas presents, my friends and I decided to go for afternoon tea instead. It’s definitely got to the point where being able to see each other for a few hours means so much more than giving gifts so we decided to spend the money we would have spent on presents on an experience instead. 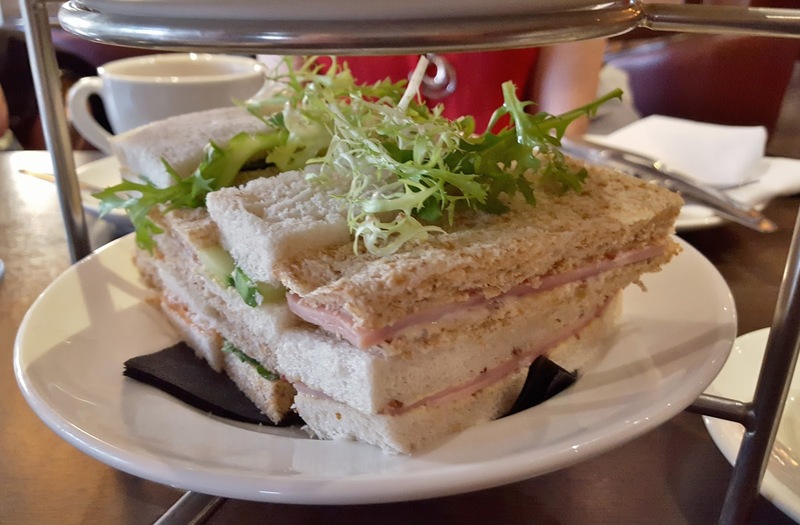 Though there are absolutely loads of afternoon tea options in York, we decided to go to the Hilton as it was very reasonably priced and included a vegetarian specific menu – perfect for us as two of the four are veggie. The veggie afternoon tea is £16, and the meat one is £17 which is definitely a cheaper option compared to other venues in central York which charge £25+. We were welcomed into the Tower Restaurant, named as it overlooks Clifford’s Tower, and the staff brought us our teas and coffees. I also noted that we weren’t charged extra to have coffee as opposed to tea, which was a nice touch. I opted for green tea (standard) and the staff were more than happy to bring us additional drinks too. 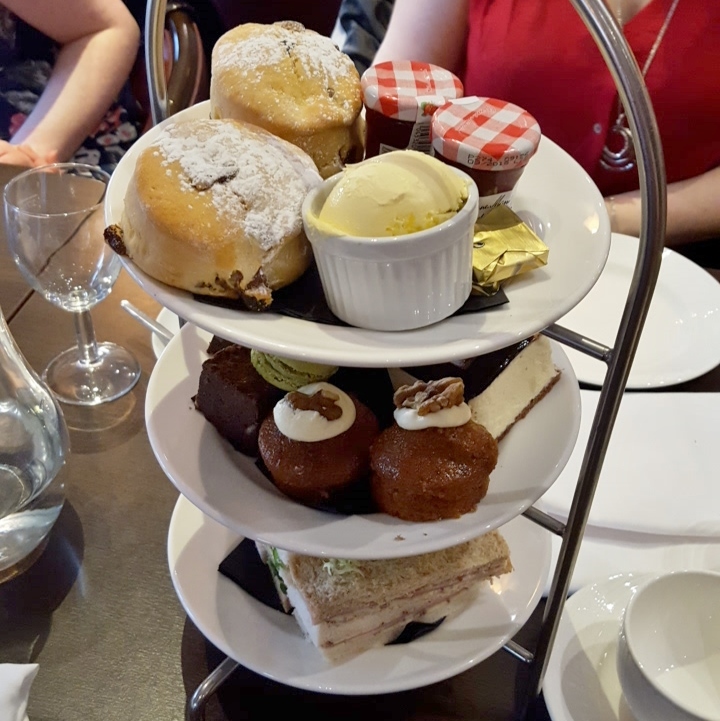 When the afternoon tea stands arrived, I think we were a little overwhelmed as there was so much food – just what we wanted! With four finger sandwiches each, three cakes and a large sultana scone, we were definitely more than stuffed at the end. The finger sandwiches were on a mix of brown and white, with smoked salmon, cucumber, egg mayonnaise and ham and mustard filling them. On the cake layer, we had carrot cake, chocolate brownie with a macaron and a chocolate-y cheesecake. The scone came with butter, clotted cream and strawberry jam, which was absolutely perfect. 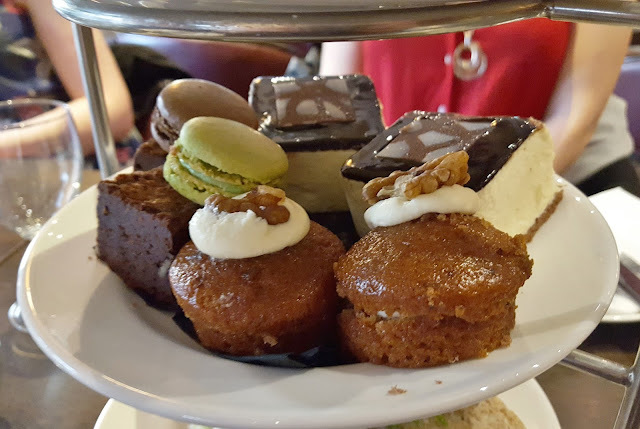 I’ve had quite a few afternoon teas in the past, and I thought that this one ticked all the boxes for it being no-frills and just great food. I do love having something that’s a little different and a bit quirky, but that often means there are some acquired tastes, whereas this tea was definitely a crowd pleaser – especially if you’re a bit of a picky eater! I’d definitely go back there as I found the restaurant to be very relaxing and it’s a treat that definitely won’t break the bank – in fact I’m surprised it’s not more well-advertised. 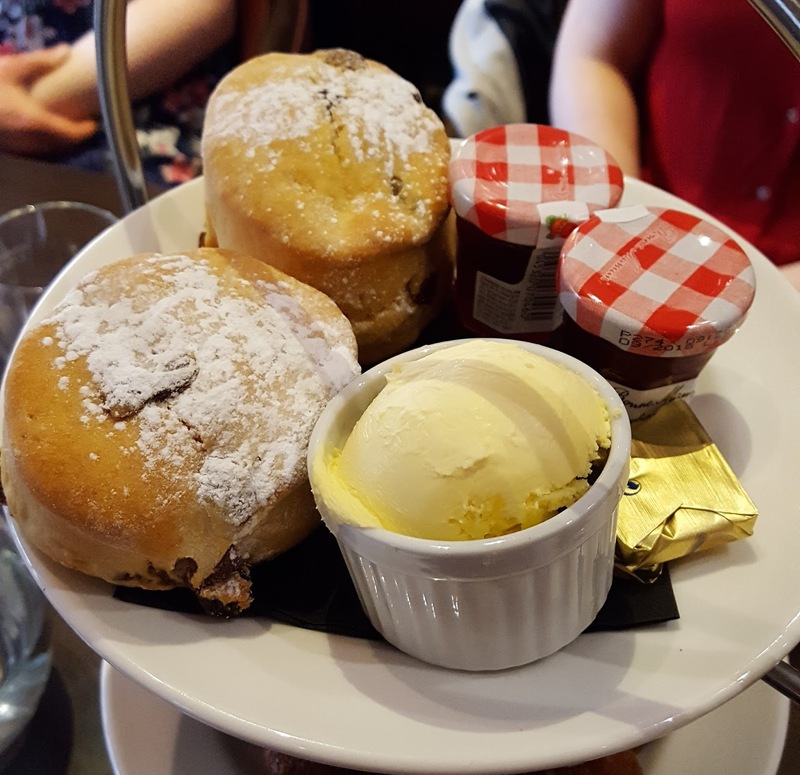 Have you been for afternoon tea recently? 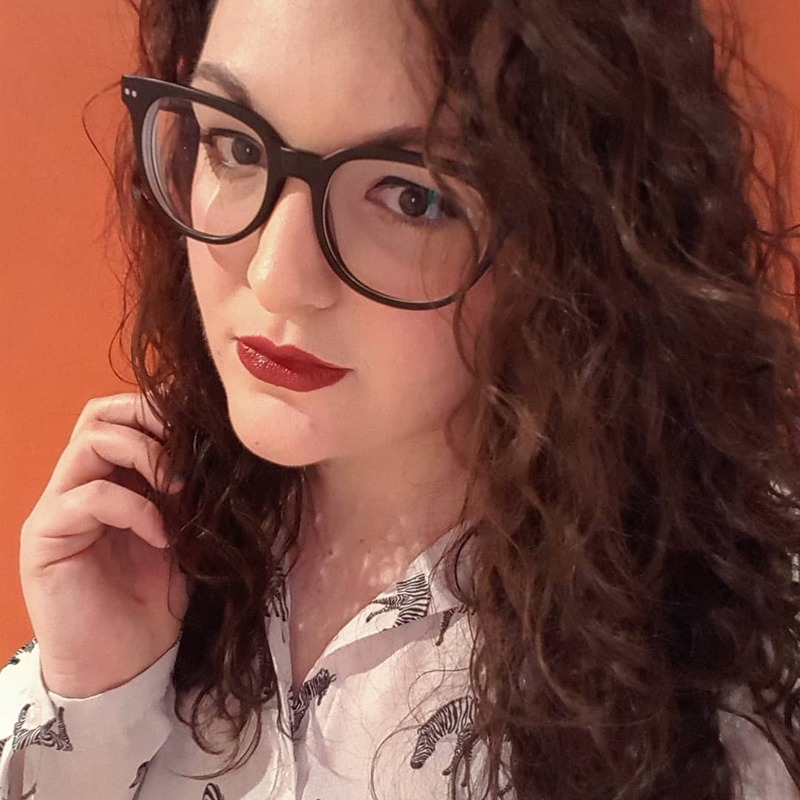 Where would you recommend? This tea looks and sounds amazing and the setting is also important. I love being somewhere cosy and comfortable.